Pinball terms used by the pinball gaming community which may or may not be a part of the official pinball lexicon. 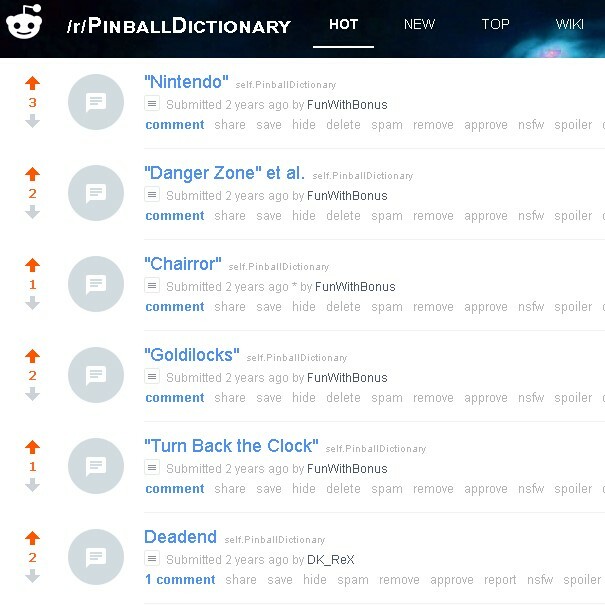 Besides, some of these terms are just made-up… ^_^ If you have a suggestion for a nomination to the New Pinball Dictionary, or you would like to contribute toward a suggestion that has already been nominated, visit the New Pinball Dictionary topic on TILTForums. Thanks for your contributions! 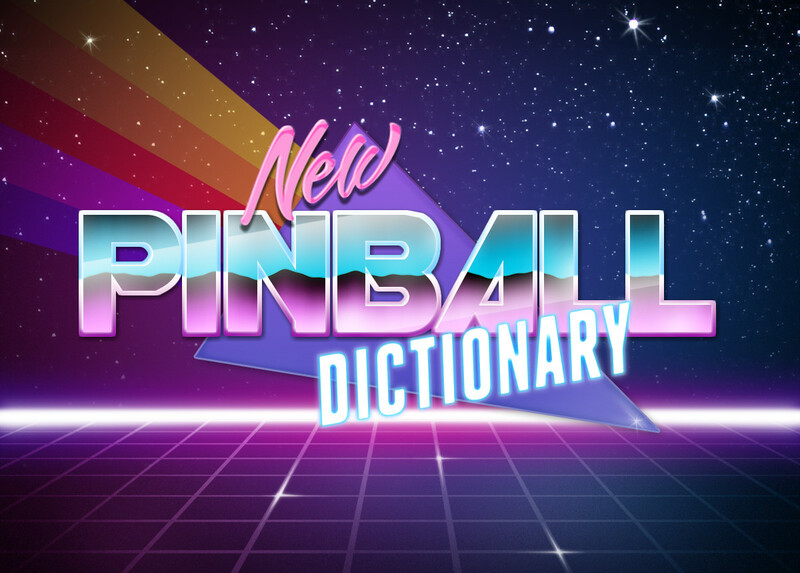 Visit The New Pinball Dictionary on TILTForums to make a nomination.